Four in 10 stairlift customers report bad practice. “A Which? survey of 530 stairlift customers has found that 43% experienced at least one dodgy sales technique. They surveyed people who had got a stairlift for themselves or a relative. The survey found that 13% of stairlift owners felt under real pressure to buy. However, a higher proportion experienced sharp sales tactics, with 43% having been subjected to pressure-selling, pressure to choose a more expensive model and/or an excessive number of sales calls. Some stairlift brands exhibited better sales practices than others. Find out how Acorn, Handicare and Stannah Stairlifts compared in this respect, as well as for prices (both new and second-hand) and reliability. Nearly one in five (16%) of those Which? surveyed experienced large amounts of sales calls about the stairlift, with 14% describing these calls as ‘high-pressure’. There was noticeable differentiation between stairlift brands. Which? stairlift brands review reveals which manufacturers were the best and worst for sales practices and also reliability, comfort, quality and value for money. Stairlifts are a significant purchase, with people paying an average of £2,084. The industry code of practice says you should expect to see prices detailed upfront at the earliest possible stage, including in advertising and on websites. The Which? survey found that stairlift salespeople often quote a high initial price and then offer a discount. Anecdotal evidence suggests that they might ‘phone their manager’ and then offer a greater discount for a same-day purchase. Some will withhold prices until the end of the discussion or visit. We found that a quarter (24%) of people successfully negotiated a reduced price, so it’s always worth asking whether the figure you’ve been quoted is the best available. View the original Which? Stairlift survey report for more information about pressure selling. 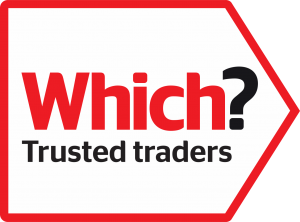 Here at Prestige Stairlifts we are proud to be a Which? Trusted Trader. We don not employ pressure selling at all. In fact we don’t have salesmen. All enquires are handled by qualified stairlift engineers who can give you honest advice with no obligation to buy. They will talk through the options with you and a clear price with no hidden extras.